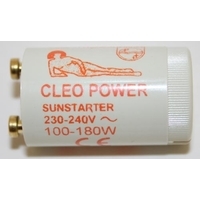 What is the difference between a glow starter S12 and an electronic tanning bed starter? 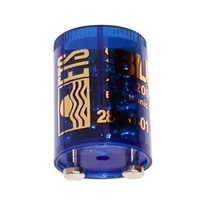 Well, over a lamp’s life there are two major influences on sustainability of performance; the electrical loading, as provided for by the lamp design and delivered by the current control ballast, and the STARTING CHARACTERISTIC. 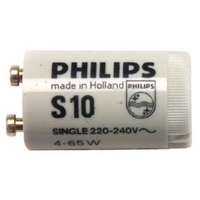 With today’s expensive High output UV lamps which are normally controlled by low technology, short life glow flicker starters. 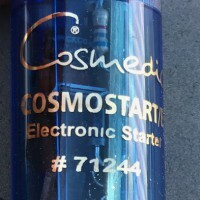 The flickering and flashing from ordinary starters occurs as repeated high energy starting pulses are delivered before the lamp end have been warmed. 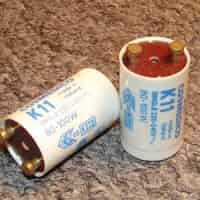 The energy from failed starting pulses causes point explosions on the lamp cathode filaments-literally blasting away the electron emissive coating from the cathodes, which pollutes the tube phosphors. 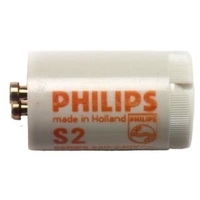 Therefore, the white coating inside the lamp around the cathode becomes dark. Electronic tanning bed starters provide zero stress starting conditions, therefore maintain the internal purity of the lamp arc and phosphor coating. ELECTRONIC STARTERS create the ideal starting conditions for the tanning lamp: on switch on, built in intelligent programming measures the available heating current and warms the lamp ends for an accurately controlled time period. The fully pre-conditioned lamp is then gently ignited with a single low energy pulse. 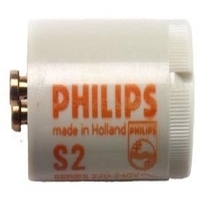 This exact electronic control eliminates the wear and stress of starting and avoids internal pollution of the lamp as a result of the starting cycle. 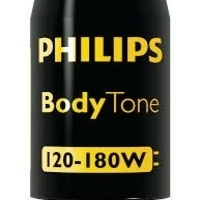 When you factor in how often your tanning lamps are cycled every day with the high output ballast, the effects of the starting cycle are colossal in respect of the overall productive life of the lamp. 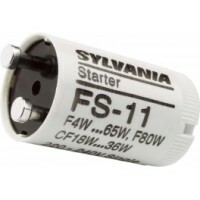 Electronic starters also provide another benefit over ordinary glow starters. 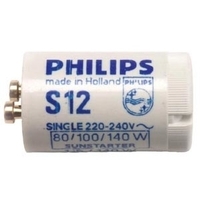 Ordinary starters such as Philips Philips S2, Philips S12, Philips S16, FS11 and Cosmedico K11 glow starters should be replaced every lamp change. 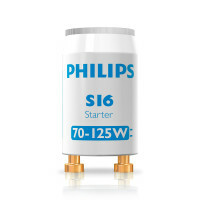 Electronic starters have a 10 year life and will operate any size lamp from 4w to 220w.